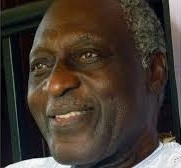 Today, I would like to talk about the legendary Ghanaian poet, writer, and diplomat Kofi Awoonor who lost his life this past weekend during the shootings at the Westgate Mall in Nairobi, Kenya. Well, many articles would tell you all about this man who was born George Kofi Nyidevu Awoonor-Williams, but who will end up using Kofi Awoonor as his pen name. Kofi Awoonor was a poet whose poetry was based on Ewe / Ghanaian mythology and imagery. His writings include the oral traditions of African village songs, with their various communal forms, themes, and functions/ceremonies. For instance, his poem ‘The Purification’ records a sacrifice to the sea-god in a time of poor fishing. One can find a sense of melancholy in his writings. Enjoy this snippet from one of his poem ‘Songs of Sorrow.’ To learn more about this man, check this very good article on The Guardian, the BBC, and don’t forget to go to The Poetry Foundation of Ghana to read the end of this poem and other pieces by him. “All covered with dust,” indeed! Great post! His concluding line of the “Sorrows” poem is fitting: “All covered with dust,” indeed! I totally agree with you. Thanks for visiting the blog.